How Much Do Americans Spend on Takeout Every Year? Takeout is as old as the restaurant industry. Sometimes it’s just easier to have food brought to you from your favorite local restaurants. But how much do Americans spend on Takeout every year? We discovered recently that the market for takeout is huge. It is estimated that Americans spend approximately 260 billion dollars (that’s billion, with a B) every year on delivery. It makes sense then, why services like Uber Eats, Amazon Fresh, DoorDash, Eat24, etc, etc, etc are all blossoming. But how much margin is available in a takeout marketplace? That depends on who you ask. Reports suggest that margin on delivery can be in the single digit percent, meaning companies acting as third-party delivery drivers are working with pennies on the dollar when it comes to making money driving your dinner around. Our memories tend to be relatively short, but for those who were following the technology boom in the late 90s and early aughts, you will remember several services similar to those above offering deliveries. There was a big wave of venture money dumped into these services and as far as we know, none of them really survived. Here we are near the end of the 2010s, and investors have been hungry for a piece of one of the fastest growing markets in technology. 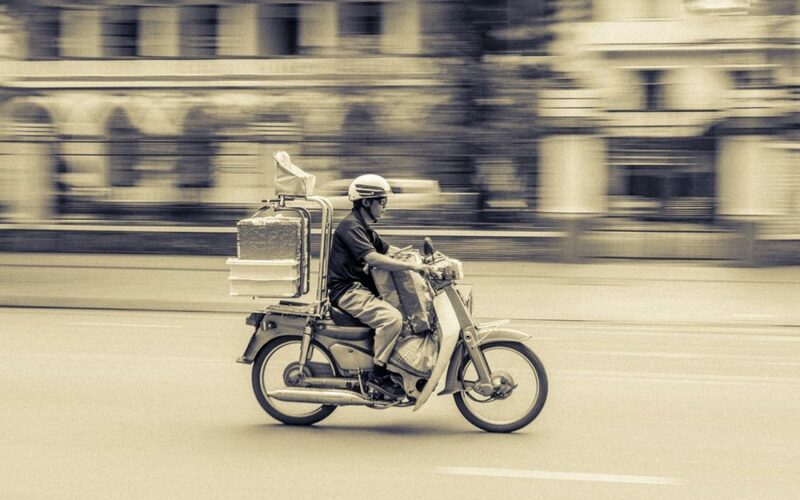 Mobile technology has changed the way we as consumers interact with delivery services, but as it stands now, very few of them are making much money, if any at all. Not to mention the threat of big players with deep pockets being able to throw massive amounts of money at the industry to keep competition priced out. Maybe this time will be different, or perhaps Amazon and Uber will keep throwing money at the idea long enough for us to enjoy fast delivery of our favorite meals, but we wouldn’t be surprised to see consolidation.